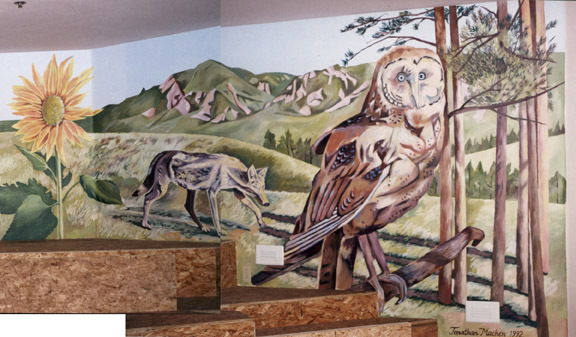 Unity Church Mural, 1992, at 2855 Folsom St. in Boulder, Colorado. 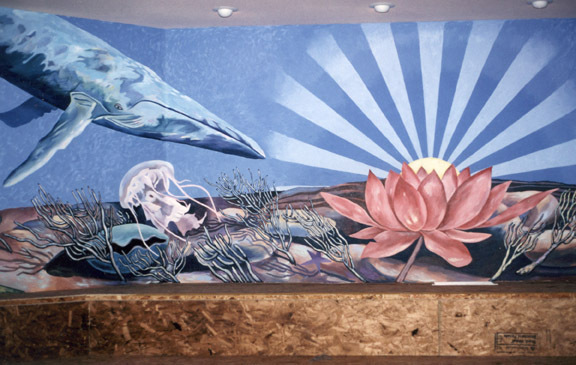 I was commissioned by the Reverend Jack Groveland to paint this large mural in their meditation room at the church. I originally met Jack and his family at the Harvest Restaurant, where I worked as a waiter. 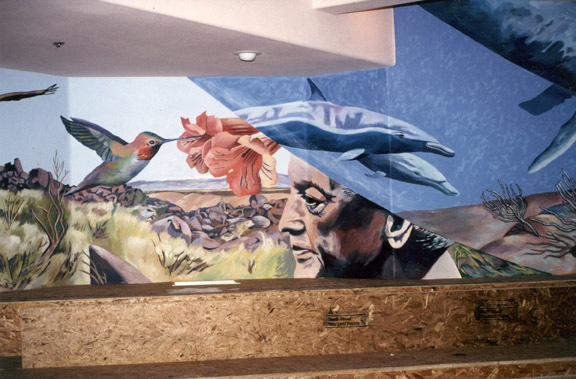 He watched me paint the Harvest murals and agreed to my suggestion that I paint a mural in his newly-built church. I asked for $500, and they ended up giving me $1000. 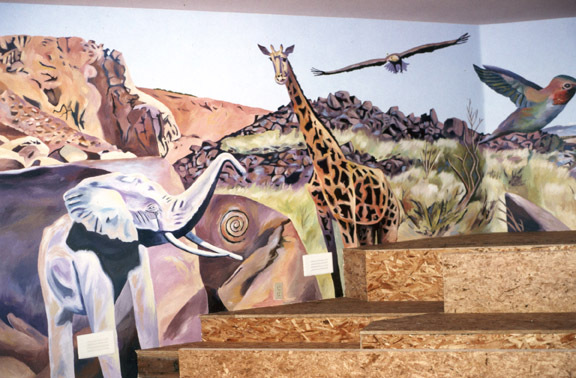 It took me all summer to paint. 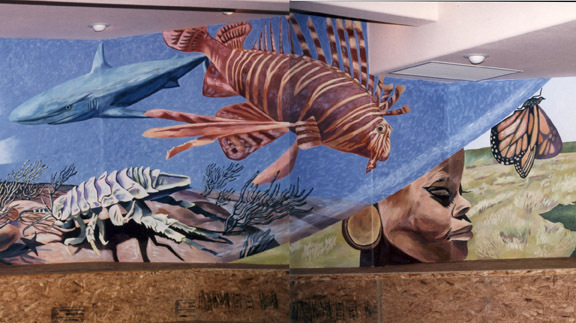 The mural reflects a vision that the life of the sea and that of our terrestrial landscape are fully integrated as an ecological whole, supporting the diversity of life on earth.